The title of the workshop, Imagining a Future of Pakistan Archaeology: Teaching Archaeology and the Postcolonial Critique, Community Based Practices, and Cultural Heritage Management, provided a forward looking framework within which teaching is part of a larger mission of decolonization. Teaching techniques discussed borrowed heavily from Pablo Freire’s Pedagogy of the Oppressed, and that allowed us to bring into question cultural specificity of teaching and learning environments, and the epistemology of Pakistan archaeology itself. Each day, the morning segments were dedicated to introducing topics such as colonialism, anticolonialism, decolonization, postcolonialism, neocolonialism, late capitalism, imperialism in relation to archaeological method and theory. The second part of each day was spent in groups discussing specifics of the articles. The final section of our day was spent working on a syllabus on Postcolonial archaeology in Pakistan. All in all, the workshop was well run, well organized, and well attended. The participants worked late into the night and created a community of their own trying to contend with much of the theory that we would discuss during the day. At the end of the week, the participants had collaboratively created a syllabus on Postcolonial archaeology that they can use and adjust according to their own calendars. They all experienced firsthand the difficulties of doing community based collaborative exercises when one treats everyone like equals. More important for me was that they were able to also comment upon how that ‘equality’ can only be an ideal because there are other forms of inequity that surface even in such spaces. On the request of our LUMS hosts, the participants also put together a public lecture for the staff of the residence at LUMS. This was an important step in putting into practice much of the decolonized methodologies that we were talking about during the seminar. That was a particularly exceptional moment. I was impressed with the caliber of individuals, the passion and dedication to the field and their desire to imagine a new future for Pakistan archaeology. Because of what I experienced there, I came back to the US and mobilized my own networks for new projects focused on Pakistan. Not only have future collaborative workshops (such as Wenner Gren) been proposed as a result of this workshop, but one special issue for the Journal on Community Archaeology and Heritage dedicated to Community Archaeology in Pakistan is in the works, as is an edited volume on Postcolonial heritages of Pakistan. Additionally, I am working with three MS students to help them identify programs to apply to for PhDs, and I have a more substantial working knowledge of my peers and their research in Pakistan. 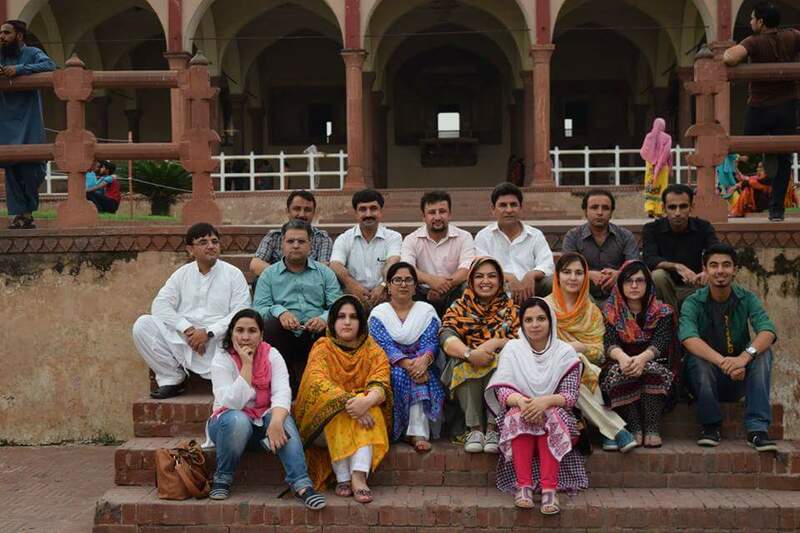 AIPS sponsored workshop “Teaching Archaeology and Cultural Heritage Management” led by Uzma Rizvi, August 11 - 14 and August 17, 2015, Lahore Fort.